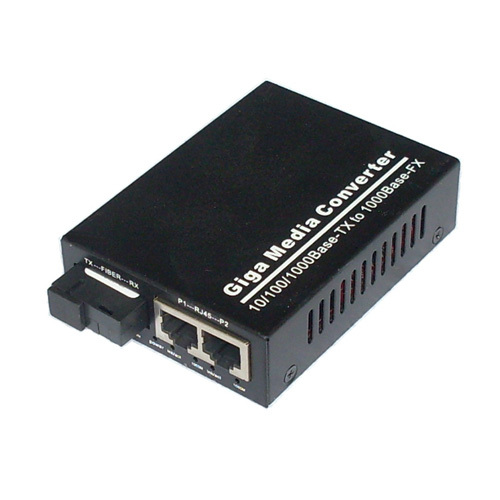 Single Fiber 10/100/1000Base Fiber Optic Media Converters means, the 10/100/1000Base auto-sensing single fiber Ethernet media converter converts the electrical signal of a 10/100/1000 Ethernet signal from copper to fiber. This solution will offer a low-cost integration option for network managers who want to migrate from 10/100 networks to Gigabit Ethernet. Gigabit only switches can now be connected to 10/100 networks without the need to upgrade the 10/100 side, allowing network managers to add new equipment gradually. The transmission of a channel signals can be completed by single fiber. It has doubled in quantity of fiber data transmission compared with twin fiber.